NASA has recently shown images of an interesting phenomenon called Magic Island in Titan, one of Saturn’s moons. 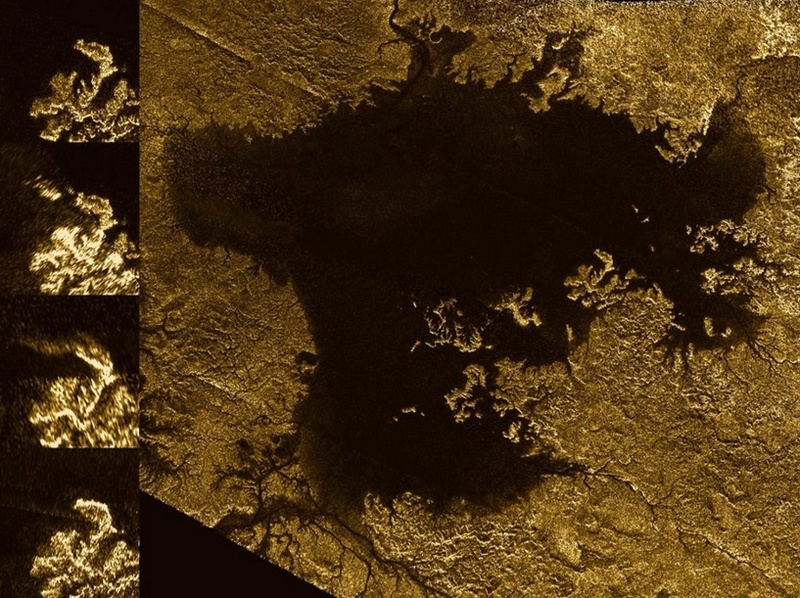 The images released by NASA came from the Radar instrument aboard NASA’s Cassini spacecraft and it showed some typical changing phenomena in a hydrocarbon sea on Titan. The Cassini-Huygens mission is a cooperative project of NASA, the European Space Agency and the Italian Space Agency. The features that appear to be bright are either because of waves of the Ligeia Mare hydrocarbon sea, or any underlying solid surface or surface beneath bubbles. Tides, sea levels, waves or any such changing phenomenon are the most likely events that cause the Magic Island. NASA’s Jet Propulsion Laboratory, a division of the California Institute of Technology in Pasadena, manages the mission for NASA’s Science Mission Directorate, Washington, DC. The Cassini orbiter was designed, developed and assembled at JPL. The radar instrument was built by JPL and the Italian Space Agency, working with team members from the United States and several European countries. The images released are indeed interesting and the radar team is looking forward to observing that brightened area on the Ligeia Mare when Cassini will again fly by Titan in April 2007. The revisit is expected to throw more intense light on the subject of discussion i.e, the plausible reason behind the creation of bright features on the sea. Ligeia Mare is Titan’s second largest liquid hydro-carbon sea covering an enormous area of 50,000 square miles (130,000 square kilometers). According to NASA, the liquid hydro-carbon sea is about 50 percent larger than Lake Superior on Earth. If you see the image above, you will find a big image in the right with tiles images on the left. the big image is the sea in its entirety. The left hand small mosaics are showing five synthetic aperture radar images acquired by Cassini between 2007 and 2014. The image covers a region approximately 330 by 305 miles (530 by 490 kilometers) in area.